An energetic and enthusiastic HR consultant & facilitator known for her professionalism and motivation. Rana has an extensive background in Human Resources including performance management, 360 degree feedback, recruitment, and policies & procedures; she is passionate about helping organizations hire and retain the best talent to drive business success. Her loyalty, trustworthiness and creativity bring great energy to her work. Prior to joining Tamayyaz, Rana lead the development of the HR department of an international organization and managed the HR operations in Lebanon, Kuwait, Dubai, Egypt, Oman, Syria and Jordan with the goal of helping the organization allocate human resource talents and create working environments that support their ability to achieve desired business results. For that, she was honoured an award for the “Most Dynamic Department”. Rana graduated from the Lebanese University with a degree in Chemistry. Afterwards, she discovered her passion for HR and embarked on her professional career in this field. Thus, she later on acquired a Diploma in Human Resources Management at the American University of Beirut (AUB). 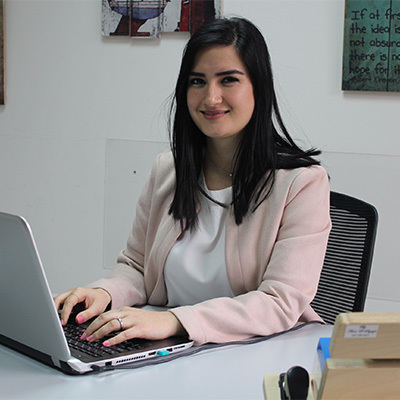 Rana joined Tamayyaz in 2015 as a Research & Development Consultant with a focus on HR. She has since then been recognized for her meticulousness and consistency in delivering high quality services. Her result-oriented focus and ability to build rapport across all levels in organizations have made her succeed in developing HR frameworks and coaching the developmental and restructuring process of the HR Department in several organizations. She has also actively participated in the development and facilitation of the “On the Job HR Implementation”, “Recruitment & Interviewing Process Implementation”, “Performance Management” Workshops, and “Management Development” program. She is also a Certified Internal Auditor – ISO 9001:2008; she actively guides organizations in aligning their current processes to International Standards by identifying process-related strengths and weaknesses, verifying the proper implementation of provisions, evaluating their effectiveness and initiating improvement actions.